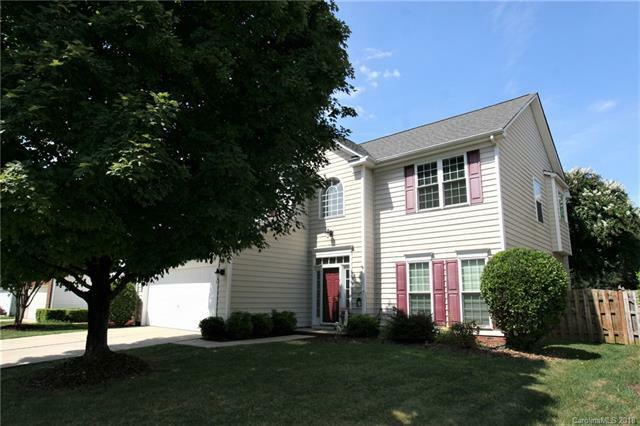 Beautiful, well maintained open floor plan with stunning archway and hardwoods. Granite and stainles steel kitchen with tall cabinets and bayed breakfast area. Sunny home with two-story foyer. Gorgeous outdoor living area with huge brick patio and flat, large fenced yard. New roof in 2018. Home warranty included. Neutral dcor. Updated light fixtures and tiled owner's suite bath with soaking tub, separate shower and dual vanities. Granite allowance for dual vanity top to be replaced. Golf, pools with slides & kiddie area, sports club with fitness center, tennis courts, parks, pickle ball, miles of walking trails. Close to Uptown, airport and all restaurants & shopping.